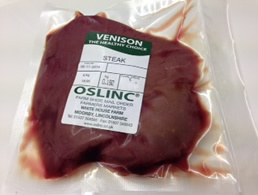 If you enjoy natural game meat our Venison steaks are full of flavour, supplied individually vacuum packed in 100g, 150g and 180g portions. Serve medium rare for best results. For a tasty seasoning, try crushed juniper berries with salt and pepper.